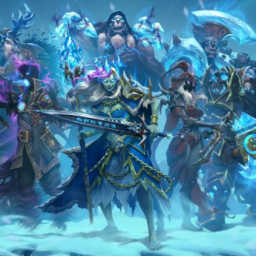 KFT Week 1: Review thus far - E-Sports Caribbean League Ltd.
There’s standard, there’s wild, and then there’s Knights of the Frozen Throne. 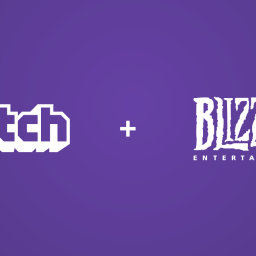 If that doesn’t give you an idea of how crazy this expansion is, this should: KFT can be an independent game on its own. 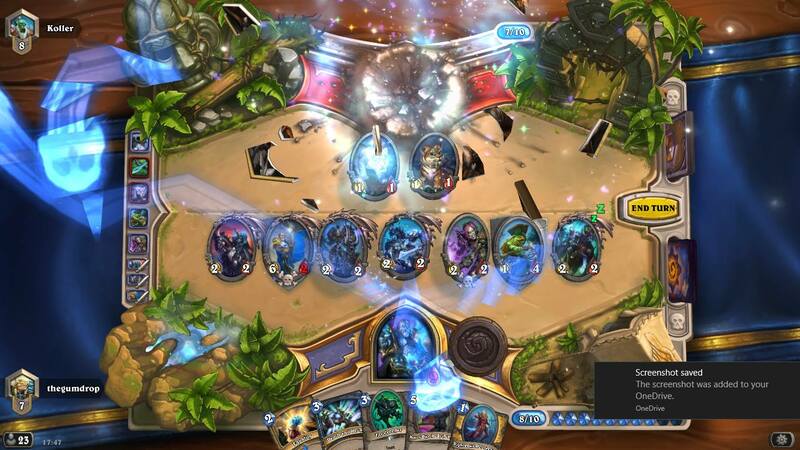 What is Hearthstone anyway? It’s been one week in and so far, this is how it’s looking. Mage: Quest Mage. Major red light here, I would even go so far as to say stock an Eater of Secrets at all times because if you can’t kill this plague before turn 6, chances are it’s lights out for you. DK Jaina also has the coolest emotes out of all of them imo, I often get squelched for hitting the ‘thank you’ too much so I can hear her laugh. 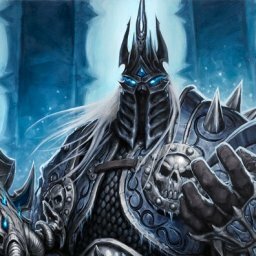 Paladin: I’ve only seen the DK pally hero power work once. 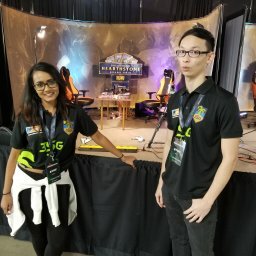 (Shoutout to thegumdrop @ our local HS community) DK Uther’s lifesteal 5/3 weapon is a real lifesaver though, pun intended. Bolvar I am still deciding on. 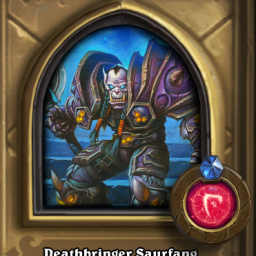 I was hoping he would have been C’thun-esque, where throughout the game, regardless of where he is, he still gets the buff. 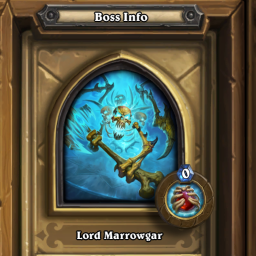 Too OP for Blizz, I guess. I’ll just leave this here. No further comments on DK Priest. Rogue: Miracle Rogue again, it seems. 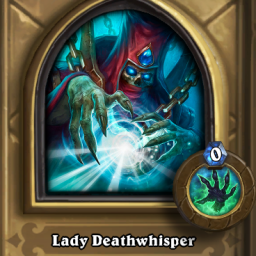 I’m thinking the next expansion will help Valeera out a bit. 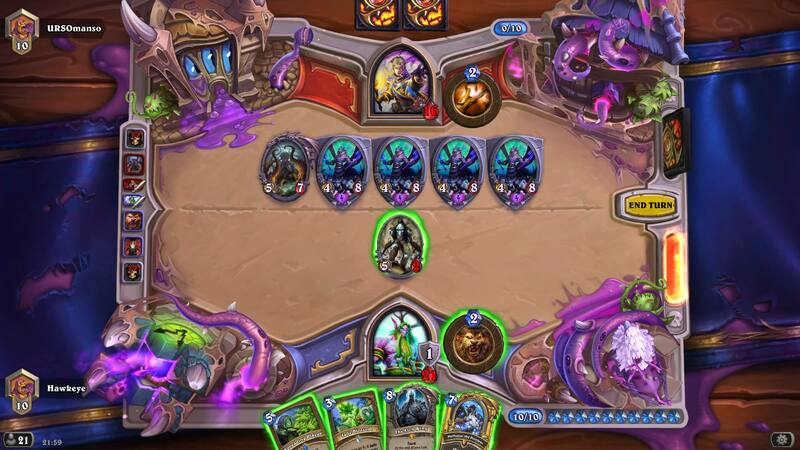 Shadow reflection can get a little crazy when it’s paired with Vilespine Slayer. I’ve seen a lot of decks with spell damage in them, and Sherazin seems like it’s here to stay. Generally, though, I don’t think rogue is a huge threat. Druid: Step aside, taunt warrior. There’s a new shieldmaster in town. And it is disgusting. I mean, DK Malfurion literally has spiders crawling over him. It’s pretty nasty. Then there’s the new breed of aggro druid which is also quite foul because now you don’t need an Auctioneer in your deck, you’ve got an infestation card that gives you all the draw power you need! It works twofold as well, since the jade druids are still knocking around. Luckily for you, the skulking geist is here to save you from at least 1 of the 3 druid plagues. Probably eater of secrets’ cousin, but I’d still stock him as he can take care of other annoyances like potion of madness, blood to ichor, breath of Sindragosa, corruption, earthern scales, evolve… etc., and if you’re really lucky, maybe even a quest. Warrior: Pirate warrior is still a very, very viable option. Kill, and kill fast. 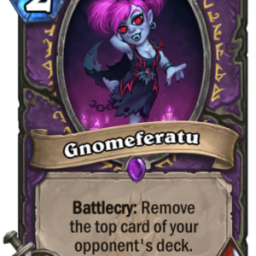 It’s a solid aggro deck and can still work without a single KFT card addition. DK warrior is interesting. 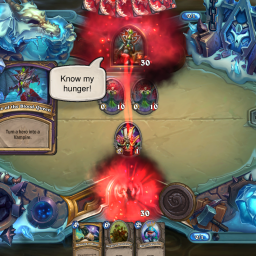 You really have to think when you play with this deck, it isn’t your standard auto-pilot game. One of the better control decks right now. I’ll go into more detail when I get more practice out of it. Deadman’s hand is crazy good. Goodbye, fatigue! Warlock: Gul’dan is actually the only DK hero I don’t have yet, but I see major potential here. Demon warlock is back! Yay! 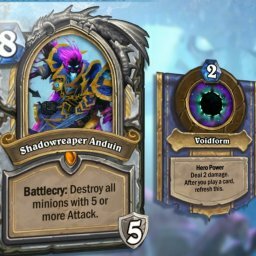 I see the workings of a N’Zoth-type deck: sacrifice your demons to revive them later! Take a backseat, priest! Anyway, DK Gul’dan is also the most expensive DK hero. 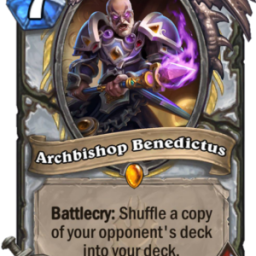 He costs your full 10 mana, but brings back all demons that died and a lifesteal, deal 3 damage hero power. That’s pretty crazy. I have yet to test this out though, and of course there are quite a bit of drawbacks. 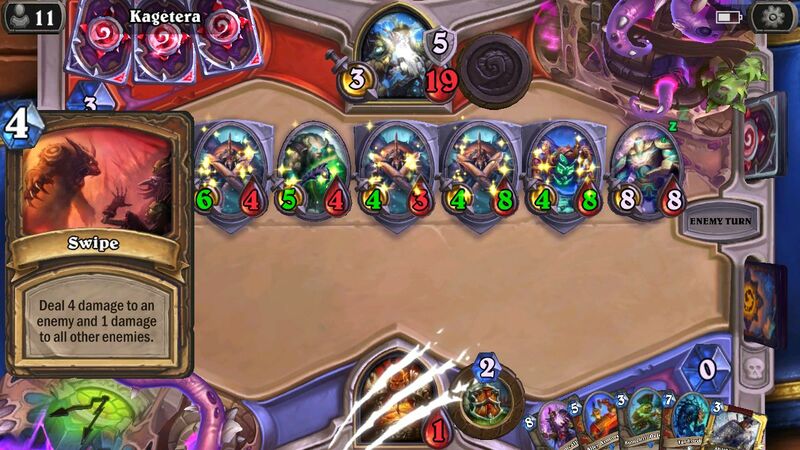 Imagine a full board of imps? Whoops! Shaman: I haven’t seen DK shaman in action at all. I have played him myself, but unfortunately have not had much luck. 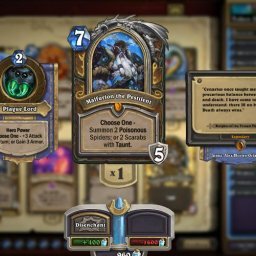 The shamans I see on ladder are from the old meta with a couple of KFT additions here and there. 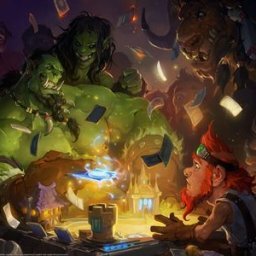 While it’s still too early to say, I’m afraid DK shaman might be looking a little unplayable after this first week’s observations.